The church was first built in 1570 by Girolamo Cassar with funds provided by the Cathedral church; during the building of the church the parish priest administered the sacraments from the Carmelite church. The church was rebuilt between 1639 and 1679 and in 1733 it became a collegiate church. to welcome Maltese and foreigners who visit us. to be close to those who feel emarginated and to use our time and talents to help those in need. Under the protection of Mary our Mother to grow in holiness by living God’s word and being of service to our neighbours. The church was first built after the plague of 1592, but was later rebuilt in 1675. The church was probably built in 1570 but rebuilt later by the wine merchants of Valletta. The relics of St. Lucian brought from the Roman catacombs are venerated in the church. The Church was built in 1584; during the years a number of alterations were made and the church was adorned with several works of art. A miraculous Crucifix, the work of Blessed Umile Pintorno, is venerated in this church. 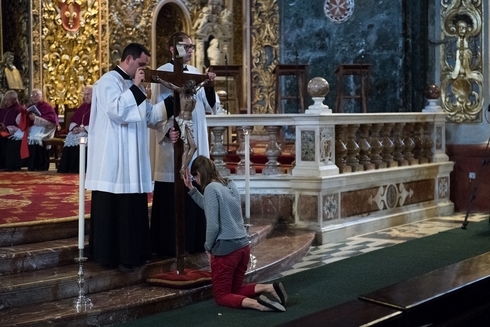 The Confraternity of the Crucifix was established in the church in 1646. The remains of Blessed Nazju Falzon are venerated in this church. The Church was the church of the Jesuit College and afterwards was the church of the University of Malta. It was built in 1593 and dedicated in 1731. It was in this church that Blessed Nazju Falzon led the Congregation for the British Servicemen of his times and converted many of them to the Catholic Faith. 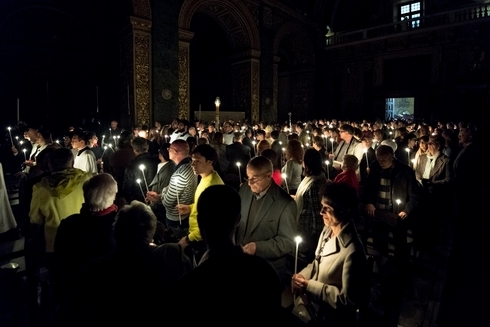 A special devotion to Our Lady of Pompeii is held in this church on 8th May. The Oratory annexed to the Jesuit Church belongs to the Congregation of the Onorati founded in 1600 by the Knights of St John. The chapel is dedicated to the Blessed Virgin Mary and the relics of St Onorata are kept under the Main Altar. This present oratory was built at the expense of the Congregation in 1658 and replaces a previous one. The Monastery was originally situated in Vittoriosa (Birgu) but was transferred to this site when Valletta was built. The present building dates back to 1595. It was enlarged in 1759. The church was built in 1569 by the Greek Catholics as their Byzantine Rite parish church. In 1639 the Parish Priest, Papas Giovanni Metaxi, without prejudice to the parochial rights, conceeded its use to the Sodality of the Holy Souls which re-built the church. Relations between the parish and the Sodality are regulated by the concordat signed on 17th September 1766. The church suffered considerable damage during the last war and was repaired by the year 1951. The church was firsi built in 1620 but was rebuilt by the French Knights in 1740. During the last war it was severely damaged but was again opened for worship in 1952. Today it is the National Centre for the Apostleship of the Sea. The Feast in this church is celebrated in April. Mass is also celebrated on major feast days and other special occasions. 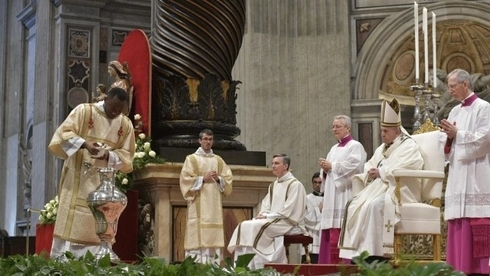 Baptisms are celebrated only during the Easter Vigil. Address: Kummissjoni Emigranti, Dar l-Emigrant, Castille Place, Valletta, VLT 01, Malta . Office Hours: Week-days: 8.30a.m.-12.30a.m. > 3.00p.m. - 6.00p.m. Summer time: 8.30a.m.-1.30p.m.